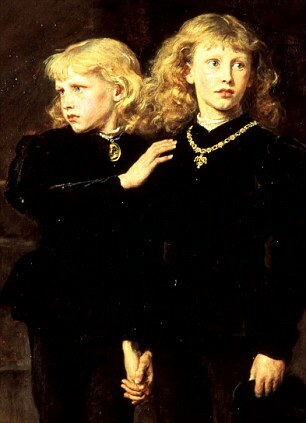 One of the unfortunate Princes in the Tower, Edward V and his brother Richard Duke of York were supposed murdered in the Tower of London by Richard III. Ruled 1483. Title: Although the book is called The Women of the Cousins’ War, the book only examines a few of them – Elizabeth Woodville, Margaret Beaufort and Jacquetta of Luxembourg. It doesn’t look at Margaret of Anjou or Anne Neville in a lot of detail. Nevertheless, a good study of those it does examine in detail. October 1399 8th Plantagenet king Richard II taken down the Thames – 1400 found starved to death. 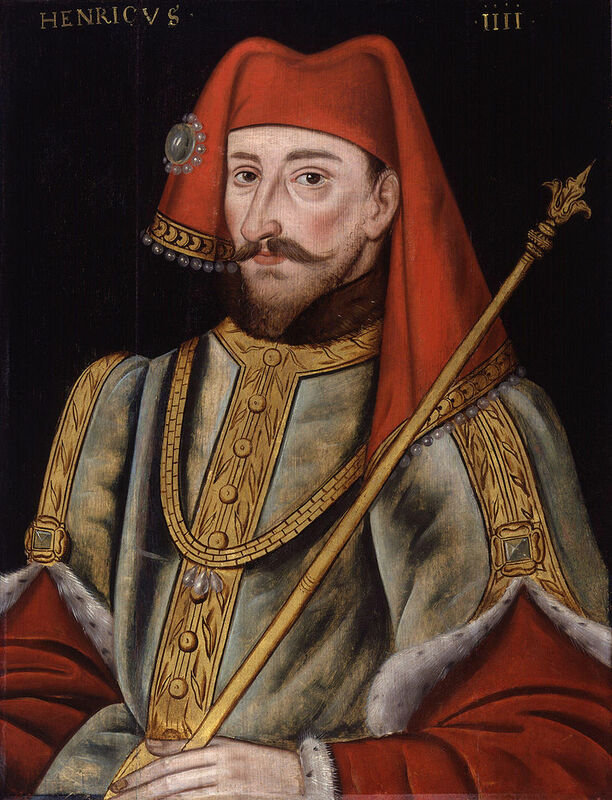 Henry of Bolingbroke – Henry IV = right of kings undermined and whole dynasties collapsed – turned against each other and ended with the destruction of the dynasty. 1380s peasant’s revolt – Richard II forced to flee to the Tower. Trigger = tax for war against the French. Simon Sudbury, Archbishop of Canterbury, seized and executed. The day after Richard met with the rebels, led by Watt Tyler. Tyler killed in a scuffle by the mayor of London. Richard single-handedly halted rebellion = god-given right to rule. The Princes in the Tower – What Happened? Edward V and Richard, Duke of York, were the only two surviving sons of Edward IV and Elizabeth Woodville, who married in secret in 1464. Edward was born in 1470 and Richard in 1473. [i] Edward V was deposed by his uncle, Richard III, on 25 June 1483, and declared illegitimate the following year, along with his brother and sisters. 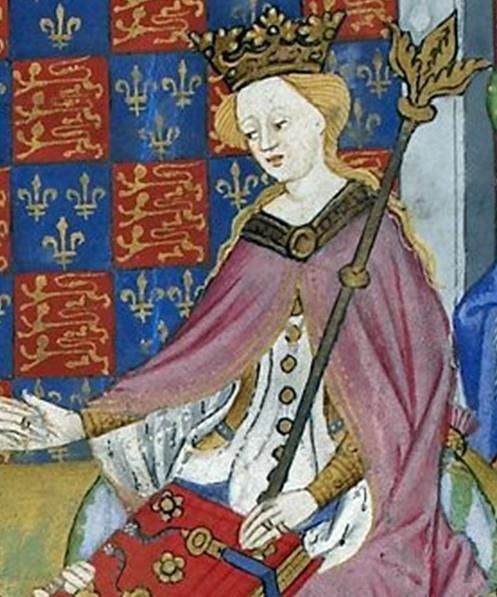 [ii] It was said that Edward IV (their father) had been married before he married their mother, Elizabeth Woodville. There were also rumours that Edward IV was not himself legitimate. 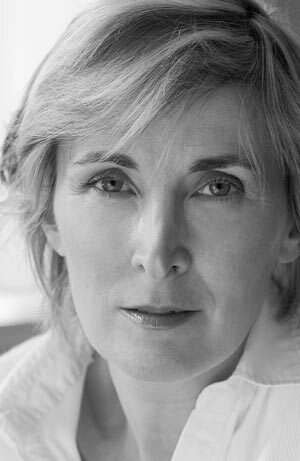 Author Helene HarrisonPosted on Apr 25, 2014 Jan 27, 2015 Categories Edward V, Elizabeth Woodville, Henry VII, Plantagenets, Princes in the Tower, Richard III, Wars of the RosesTags Duke of Buckingham, Duke of York, Edward IV, Edward V, Elizabeth Woodville, Essay, Henry VII, Margaret Beaufort, Princes in the Tower, Richard, Richard III, Tower of London1 Comment on The Princes in the Tower – What Happened? 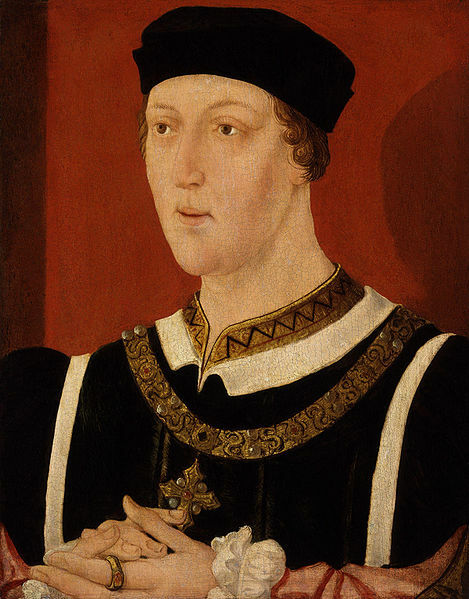 Henry VI was the son of the warrior king Henry V, the victor of Agincourt, but he wasn’t a warrior – he was quiet and pious. Later in life it is said that he lost his wits. He was deposed by Edward IV in 1460 and murdered in the Tower in 1471. He was the last Lancastrian king, married to Margaret of Anjou, who ruled in his stead. ‘The White Queen’ by Philippa Gregory (2009). 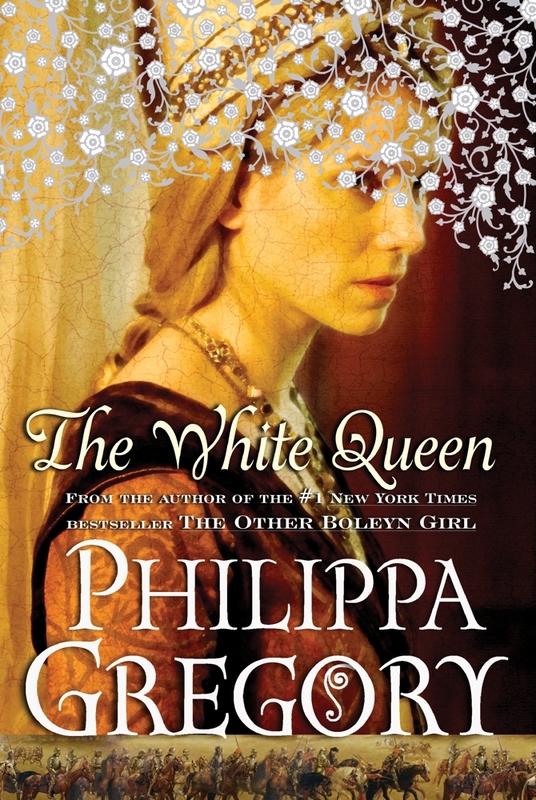 I’ve read Philippa Gregory’s ‘The White Queen’ recently to coincide with the television show. The book was a bit of a disappointment for me. I didn’t feel that it was as engaging as some of her Tudor novels. Below are the discussion questions from the back of the book. 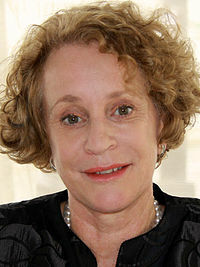 You also get lists of questions in historical books by Philippa Gregory and Emily Purdy to help you understand the story. I have posted my answers to the ones from ‘The White Queen’ below, and I hope you’ll post what you think, and whether you disagree with any of my answers. 1. Discuss Elizabeth’s first few encounters with Edward and her motives for seeking him out. Do they marry for love? Did you find it surprising that Edward defied his mentor Warwick and upheld his secret marriage to Elizabeth? Why or why not? Although technically not the Tudors, I am going to write my review of The White Queen which was shown on BBC1 for ten weeks. For those in America where the entire series has not been shown yet, beware of spoilers. 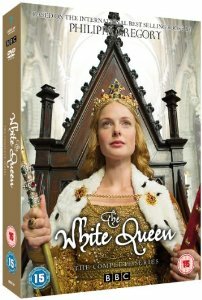 ‘The White Queen’ starring Rebecca Ferguson and Max Irons on DVD. Elizabeth Woodville meets Edward IV for the first time. They marry in secret and consummate their relationship. Elizabeth’s brother, Anthony, believes that Elizabeth has been conned, until Edward announces in council that he is married to her. Elizabeth goes to the court and meets Edward’s brothers, George and Richard, and the family of the Earl of Warwick.